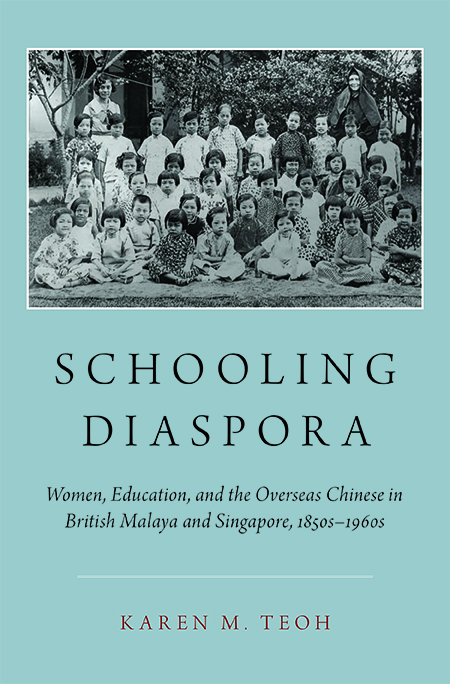 Stonehill College history professor Karen Teoh’s first book, Schooling Diaspora: Women, Education, and the Overseas Chinese in British Malaya and Singapore, 1850s-1960s, has been published by the largest and one of the most renowned university presses in the world. Schooling Diaspora is being released under the imprint of the Oxford University Press this month. It is a significant accomplishment for authors, especially in academia, to have their first book published. Teoh’s book will be marketed internationally, in Europe as well as East and Southeast Asia. Teoh’s book is further enlivened by her personal experience of growing up and attending school in Malaysia and Singapore. Besides offering an insider’s perspective, she also interviewed women who studied and taught in these schools from the 1940s onwards. She explores the demands that modernization and nationalism placed on these women, hence combining history, ethnography and politics. Stonehill College funding and research leave supported the associate history professor and director of the Asian studies program while she was writing and researching Schooling Diaspora. The blurbs for the book were contributed by prominent scholars of Asia from Harvard University, Yale University and the University of Michigan. Schooling Diaspora is now available for purchase in hard copy and as an electronic book, on the Oxford University Press website or on Amazon in the United States, and on major bookseller websites internationally.